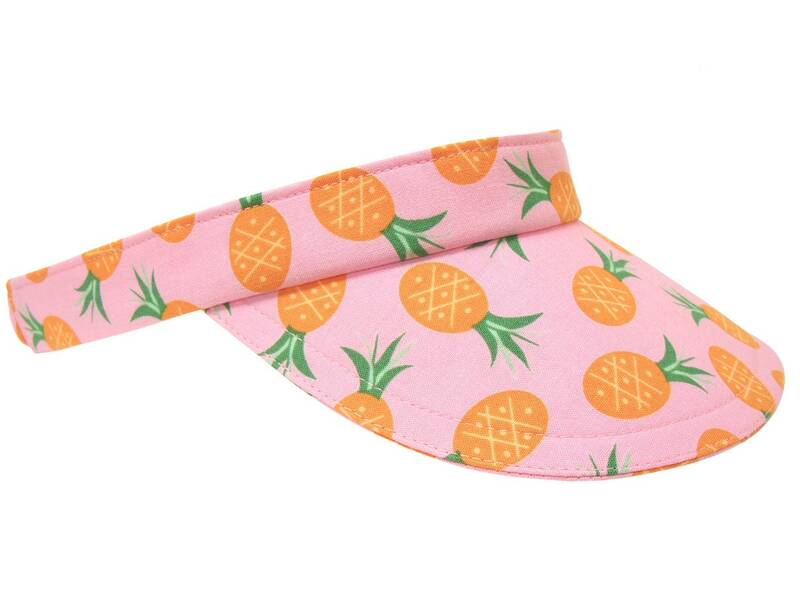 This visor is called "Hawaiian Punch" - Orange and green pineapples tossed on a classic shade of pink. Pink top-stitching. Pink grosgrain lines the entire band.